Organza | VEdance - the very best in ballroom and Latin dance shoes and dancewear. Organza is a sheer, thin open-weave fabric that is heavier and crisper than silk gauze, perfect for creating plenty of volume in dresses and skirts through layering. It has a smooth, flat finish, is strong and durable, and gets its stiffness from tightly twisted yarns. 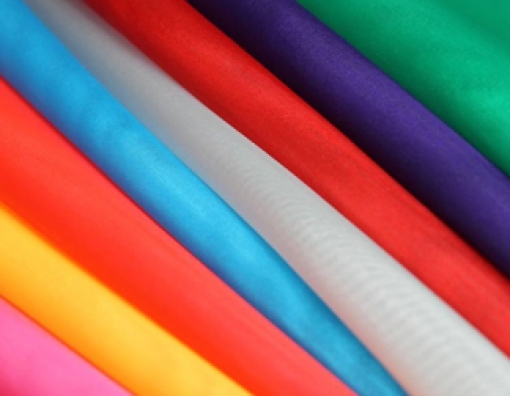 Often used as the base fabric for embellished fabrics. Made with a lose plain weave, organza has a crisp drape, which requires special sewing techniques for seams, facings, and hems because they can be seen from the outside of the garment. It is mostly used for under skirting, interfacing, and veils. 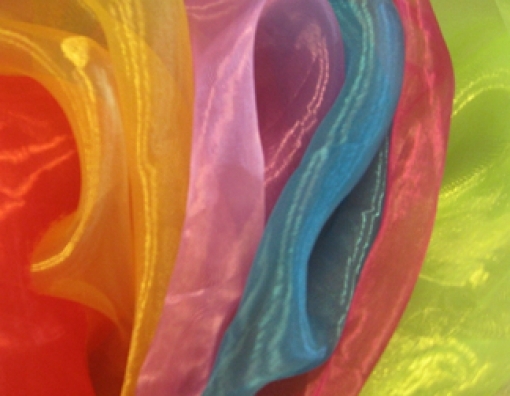 Crystal Organza is a sheer, transparent, stiff fabric made from 100% polyester. Crystal Organza is fabulous to create full skirts on evening gowns, wedding dresses and ballroom couture - creating fullness and volume to maximum effect. Most popularly used in ballroom dresses as a layered skirt with soft boning used on the hem.